Posted February 14, 2018 by laurielmorrison & filed under The Writing Process. 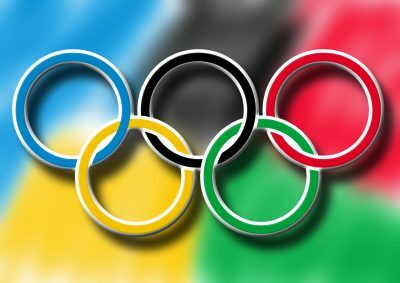 I always love watching the Olympics and getting sucked into the storylines and wowed by the performances, even in sports I know pretty much nothing about. Over the weekend, I caught some of the men’s single luge and slopestyle events, and I was struck by the differences in how those two events are scored and what those differences say about what the sports value. In the slopestyle competition, the best run wins the entire event. It doesn’t matter if a snowboarder falls on two of the three runs; if he nails it the third time, he can win the whole thing. That scoring system rewards risk-taking and sends the message that failure isn’t that big of a deal. It’s an accepted part of the process, not something that incurs a penalty. On the other hand, in the luge event, the athletes complete four different runs and all four times are added up. If an athlete messes up once, that can doom his or her entire competition. So the scoring system rewards consistency and discourages too much risk-taking. I was so impressed by the mental toughness of the luge athletes, getting up there over and over, determined to deliver a clean run every time. Talk about high stakes! But I also couldn’t help wondering how much faster their times could be if the scoring allowed room for failure—if only the fastest run counted, so they could take more risks. As a teacher, I wanted to build in room for kids to fail without negative consequences because risks can lead to the most innovative and interesting ideas, and we all learn from what doesn’t work as well as from what does. But I also had to assign grades every quarter, and that meant that I needed a lot of varied, graded assignments in relatively short periods of time. It was challenging for me to make space in the curriculum for meaningful, sustained activities that encouraged kids to take true creative risks. And in general, I think the emphasis school puts on grades can send the message that failures always have negative consequences. As a writer, I struggle with risk-taking and letting myself fail, too. I’m currently writing a first draft, and first drafting is hard for me in part because my drafts don’t always pan out. I’ve started writing a handful of books that I’ve had to abandon because they just haven’t worked, so there’s always the fear that a new draft won’t work either. Plus, new drafts are always messy and full of a dizzying number of only partly developed ideas. There’s nothing consistent about the drafting process, at least for me. Some days the words flow easily; other days I’m completely stuck. But there’s also nothing more exhilarating than those moments when I’m working through a new idea and things begin to come together in ways my conscious brain couldn’t predict. And new drafts only work if I let myself play and experiment, as anxiety-producing as that is for my rational, structured, risk-averse brain. When I try to minimize the risk of having to abandon a draft by doing extra planning, I lose the excitement and spontaneity I need. So I’m trying to embrace the creative risks I’m taking in this draft. I’m trying to trust that even if this version doesn’t work, there won’t be any penalty. I can let any not-quite-right bits go and try again and still eventually deliver a winning performance. Or write a new novel I really love, as the case may be. I’m also really appreciative when other people are open about the times they don’t succeed, especially since we often only see people’s most sparkling successes on their social media accounts. That’s why I loved listening to Corrina Allen’s “3 Fails & 1 Win” segment on her most recent Books Between Podcast episode (#43) and seeing authors post about their shelved manuscripts this week in the popular #authorlifemonth photo challenge. I still wince when I see or even think the word “failure”…but I know it doesn’t have to be a shameful word. I’m going to try to get used to the idea that when we put ourselves out there and take creative risks, our failures pave the way for our most remarkable successes, just as the (rather mind-boggling) risks athletes take in snowboarding events allow for some truly stunning performances. Great post, Laurie. I also love the luge, Laurie. So much strength and determination! we learn so much through failure.